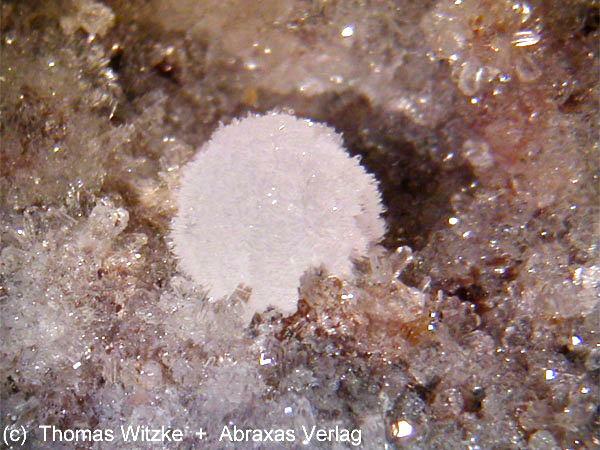 Comments: Spherical aggregate of colorless crystals of brenkite. Location: Schellkopf, Brenk, Eifel Mts, Rhineland-Palatinate, Germany. Scale: Picture size 7.5 mm.